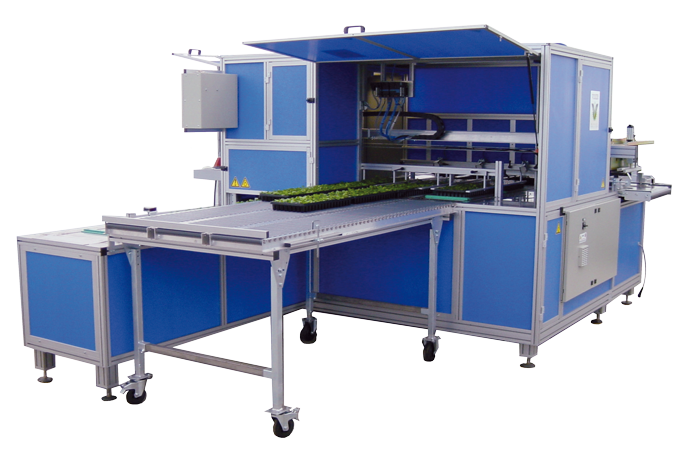 The Select-O-Mat Basic grading machine is a uniquely designed machine for grading young plants into 3 different grades. The Select-O-Mat Basic provides for exceptionally precise gradings and handles delicate plants with the utmost care. On top of that, due to the design, the operation of the machine is very easy and very reliable. 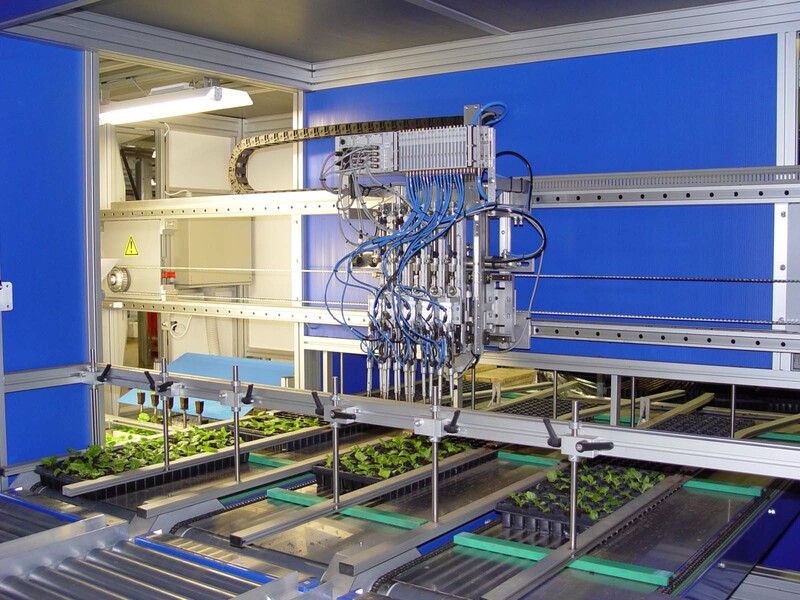 Trays with young plants will be put between the slats of the source conveyor belt which transports the tray to the push-up unit. 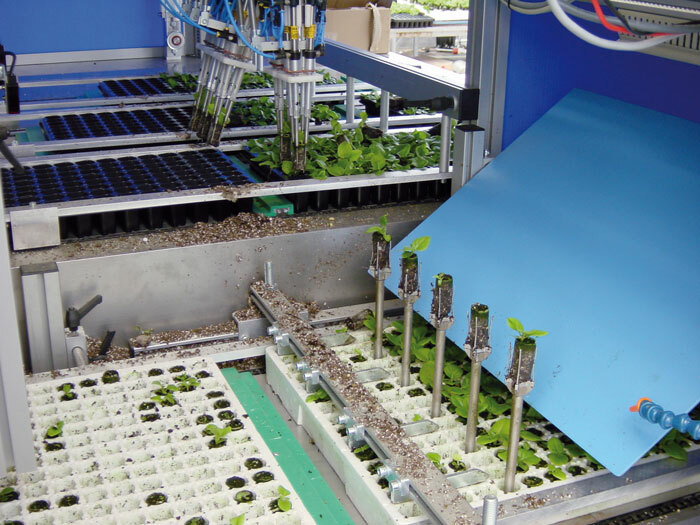 At the push up unit, a number of plants will be pushed up, not the complete row but 1/2, 1/3 or 1/4 of the plants of 1 row will be pushed up at once. In this way plants are placed completely separated from each other in front of the camera. The Select-O-Mat Basic is highly accurate. Why choose the Select-O-Mat Basic? In pushed-up position a picture of the plants will be made by the camera. If required, the push-up pins can rotate, so the plants rotate in front of the camera. In this manner multiple views of the plant can be made. 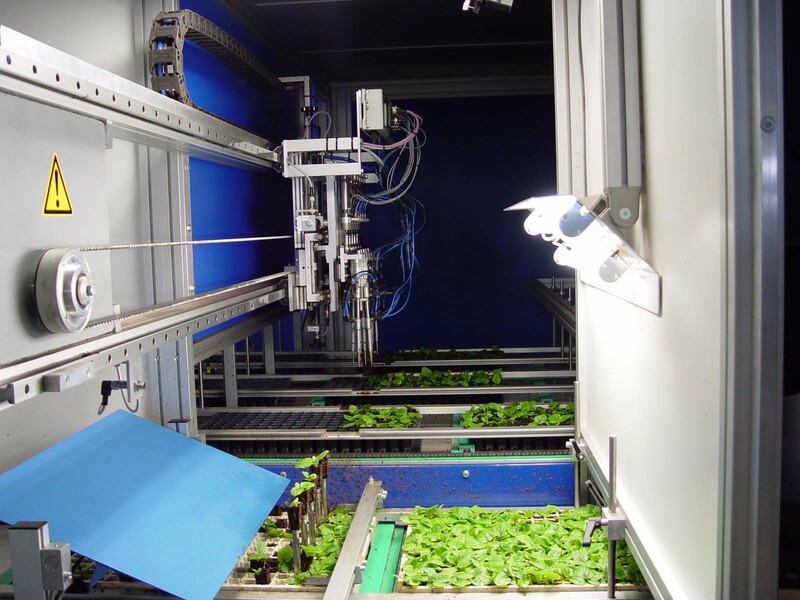 After the pictures are analysed, the grippers will be placed above the plants on the push up pins and pick the plants from the pins and bring them to the correct destination conveyor. 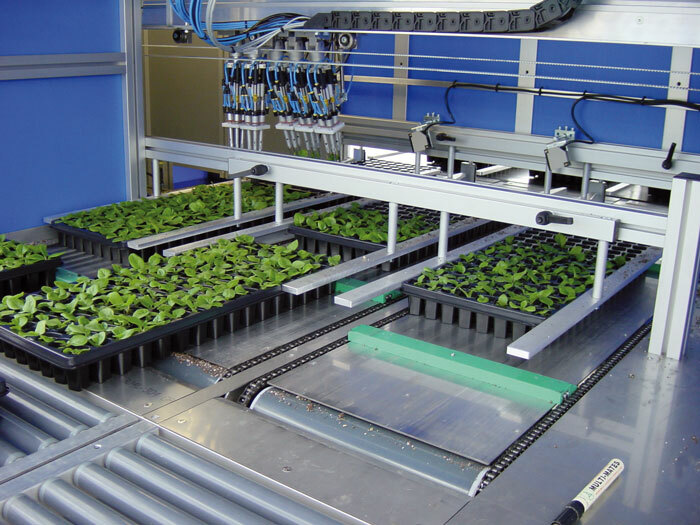 On the destination conveyor, the plants will be put in the tray for the correct class. Rock wool blocks plugs can be replaced in the same size cell, loose filled plugs are placed back in a tray with less cells.